Frankenstein's Monster is not the title of this album but it is how the band have described it (you can almost feel the sense of relief that it's finally happening). 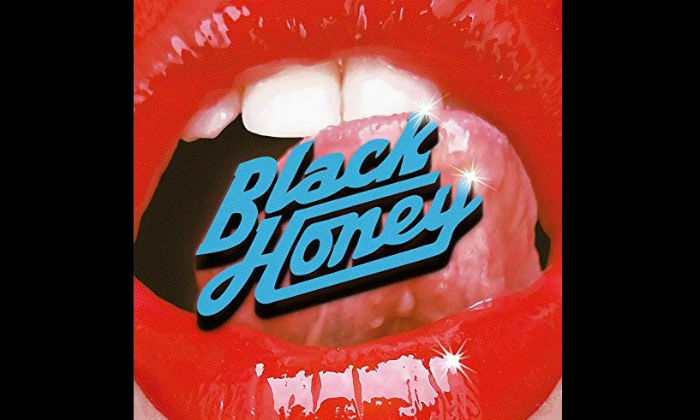 Black Honey's eponymous debut has been three years in the making and is the culmination of a lot of hard work and determination on their part. Following a string of EPs and single releases, numerous festivals, support slots and now their own celebratory tour, Black Honey are finally ready to showcase their musical talents to the world with their album. As debut albums go this one has to be one of the most eagerly anticipated of recent years; certainly of 2018. With a fantastic pedigree of tracks already amassed in their back catalogue, Black Honey's fusion of Indie Power Pop has been honed to produce incredibly infectious tracks that become increasingly difficult to resist. Blending a mix of Blondie and Elastica with Sleeper, Echo Belly and even a little bit of The Bangles, Black Honey's sound dips into Disco and Electro along the way as each track throws up a little surprise. Black Honey's first album is more like 'Parallel Lines' was for Blondie. 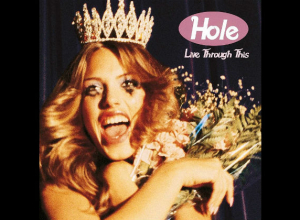 They've skipped the album releases of the more edgy, punkily infused tracks, such as the staggeringly good 'All My Pride' or Tarantino flavoured 'Spinning Wheel', and gone straight to the polished, chart troubling immediacy of brilliantly captured proper pop. After Blondie set themselves on their way with raw and raunchy tracks like 'X-Offender' and 'Rip Her To Shreds' they hit their sweet spot with tracks including 'Heart Of Glass', 'Hanging On The Telephone' and 'Sunday Girl' with 'Parallel Lines'. Black Honey have skipped some of that trajectory but have arrived at a similar place their very impressive new album. As the band have grown into themselves over the course of the last four years they may have lost a little of that Indie swagger for a more commercial and slickly produced sound and, whilst they may have lost a few of their early followers along the way, they have gained a whole lot more with their radio friendly, infinitely listenable tracks. It is with praise and applause that I say without slight that the more immediate and commercial sound of Black Honey is something to be lauded and emulated. Black Honey are not afraid to want it all and with this record they may just realise that dream. Izzy Phillips makes for a compelling front woman, channelling her ADHD like a cathartic release through her lyrics and through her songs. She manages to somehow simultaneously balance her self-expressive out pourings with a sublime, almost intuitive knowledge of how to so deftly work that into an engaging and cohesive track. Power-pop hasn't sounded this good, this fresh or this relevant for years and it is a joy to hear it done so well here. The twelve tracks that make up Black Honey's debut are all relatively new, aside from 2016's breakthrough tour de force, 'Hello Today', and last years slow and sultry 'Dig'. One of the band's four singles to be released this year, 'I Only Hurt The Ones I Love' heads up the track listing and gets the album off to a confident start with its percussive prowess, laid back lilt and velveteen vocal. Third track, 'Whatever Happened To You' introduces us to something new and is a reminder that whilst Black Honey may be ploughing a softer furrow than that of their original work they still have a darker side that too needs to be vented and released from time-to-time. 'Blue Romance' shows an altogether different side to Back Honey hinted at with 'Dig'. This is a cinematic sweeping epic nod to Lana Del Rey and has everything you could ask for. A brooding bass line, bent guitar riffs, revolving rhythms, a stirring string arrangement and a beautiful vocal. Close out track, 'Wasting Time', is similarly hewn with a panoramic soundscape that evokes such vivid imagery. 'Into The Nightmare' and 'Crowded City' however look set to be future single releases. 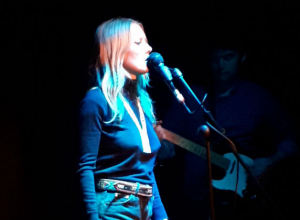 The former's Glam touches, scuzzy guitars and wistful lyric combine to produce a pumped up highlight whilst 'Crowded City' underlines Izzy's ability to succinctly tell a story through her songs. Each has a winning song structure with a killer chorus and wonderful arrangement. Black Honey's debut album may have been a long time in coming but it has most certainly been worth the wait. It is fresh and immediate, infectious and incredibly enjoyable. It is music to lift your spirit, to reinvigorate; a celebration of pop that doesn't need to apologise for itself.